See in Glossary when using the IMGUI system: Fixed and Automatic. Up until now, every IMGUI example provided in this guide has used Fixed Layout. To use Automatic Layout, write GUILayout instead of GUI when calling control functions. 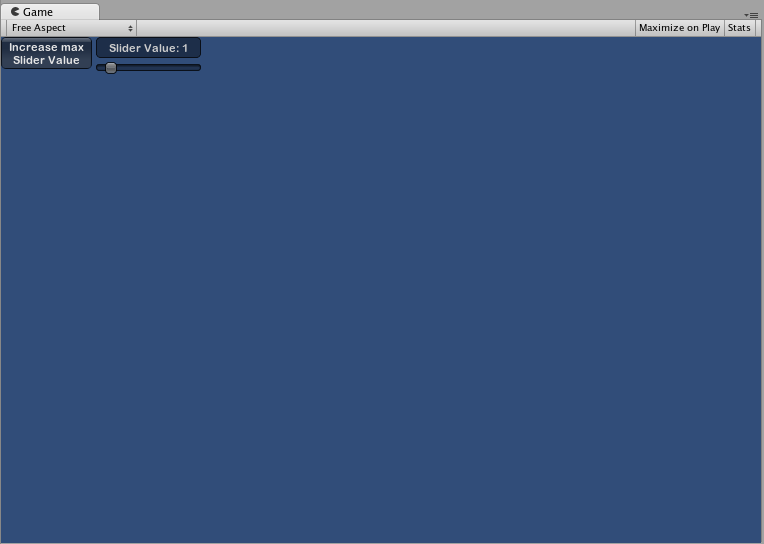 You do not have to use one Layout mode over the other, and you can use both modes at once in the same OnGUI() function. Fixed Layout makes sense to use when you have a pre-designed interface to work from. Automatic Layout makes sense to use when you don’t know how many elements you need up front, or don’t want to worry about hand-positioning each Control. For example, if you are creating a number of different buttons based on Save Game files, you don’t know exactly how many buttons will be drawn. In this case Automatic Layout might make more sense. It is really dependent on the design of your game and how you want to present your interface. Groups are a convention available in Fixed Layout Mode. They allow you to define areas of the screen that contain multiple Controls. 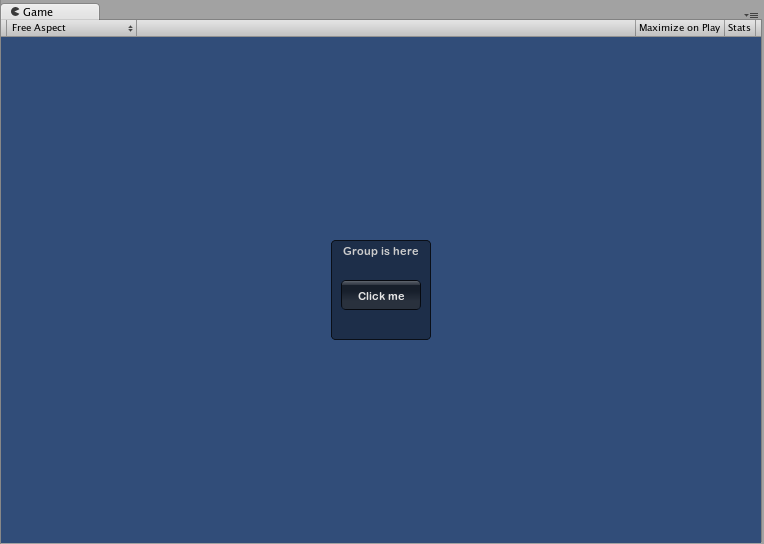 You define which Controls are inside a Group by using the GUI.BeginGroup() and GUI.EndGroup() functions. All Controls inside a Group will be positioned based on the Group’s top-left corner instead of the screen’s top-left corner. This way, if you reposition the group at runtime, the relative positions of all Controls in the group will be maintained. 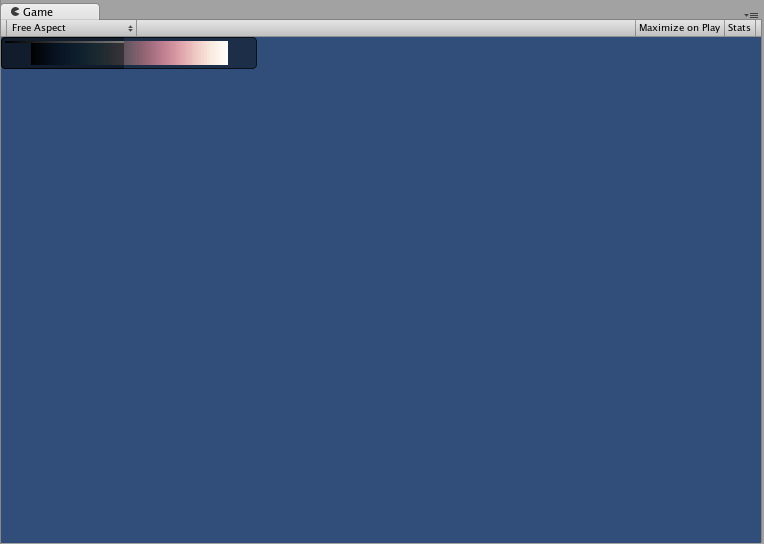 As an example, it’s very easy to center multiple Controls on-screen. // All rectangles are now adjusted to the group. (0,0) is the topleft corner of the group. // We'll make a box so you can see where the group is on-screen. // End the group we started above. This is very important to remember! You can also nest multiple Groups inside each other. When you do this, each group has its contents clipped to its parent’s space. Areas are used in Automatic Layout mode only. They are similar to Fixed Layout Groups in functionality, as they define a finite portion of the screen to contain GUILayout Controls. Because of the nature of Automatic Layout, you will nearly always use Areas. In Automatic Layout mode, you do not define the area of the screen where the Control will be drawn at the Control level. The Control will automatically be placed at the upper-leftmost point of its containing area. This might be the screen. You can also create manually-positioned Areas. GUILayout Controls inside an area will be placed at the upper-leftmost point of that area. Notice that inside an Area, Controls with visible elements like Buttons and Boxes will stretch their width to the full length of the Area. When using Automatic Layout, Controls will by default appear one after another from top to bottom. There are plenty of occasions you will want finer level of control over where your Controls are placed and how they are arranged. If you are using the Automatic Layout mode, you have the option of Horizontal and Vertical Groups. Like the other layout Controls, you call separate functions to start or end these groups. The specific functions are GUILayout.BeginHoriztontal(), GUILayout.EndHorizontal(), GUILayout.BeginVertical(), and GUILayout.EndVertical(). Any Controls inside a Horizontal Group will always be laid out horizontally. Any Controls inside a Vertical Group will always be laid out vertically. This sounds plain until you start nesting groups inside each other. This allows you to arrange any number of controls in any imaginable configuration. You can use GUILayoutOptions to override some of the Automatic Layout parameters. You do this by providing the options as the final parameters of the GUILayout Control. Remember in the Areas example above, where the button stretches its width to 100% of the Area width? We can override that if we want to. For a full list of possible GUILayoutOptions, please read the GUILayoutOption Scripting Reference page.